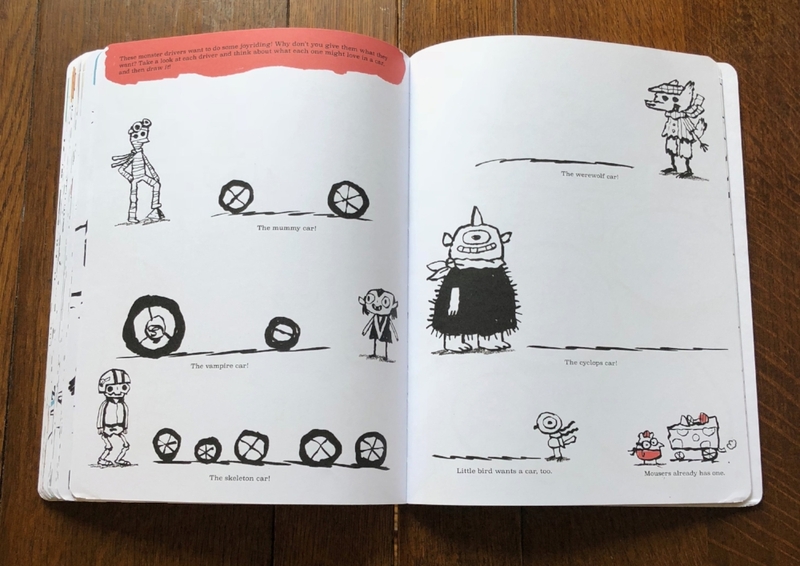 New Book: ADVENTURES IN DRAWING! 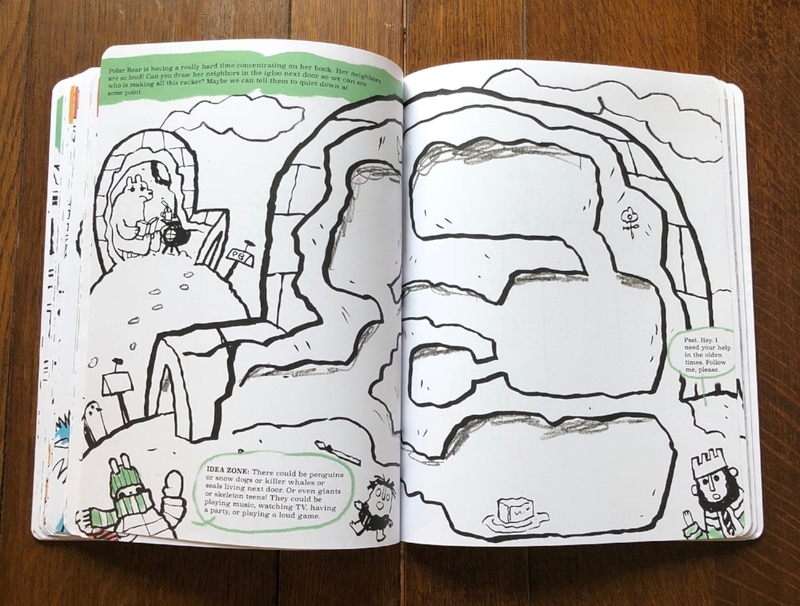 I am very excited to announce my NEW BOOK called ADVENTURES IN DRAWING: A Guided Sketchbook! "Hello, there! Welcome to this drawing book! I am Scott C., your guide and sidekick as we journey deep into this incredible world together, creating it as we go. Get ready to tap into your deep-down imaginative brains." Together we will draw unicorns, knights, mummies, dragons, weird inventions, fancy hats and shoes, food, things that live in caves, things that live in stomachs, things that float in space, we will draw some candy, some pets, and even some GHOSTS!! We are going to have so much fun, I can't even take it. The book will hit stores this FRIDAY, August 28th! You can get it in any bookstores near you or just preorder it right now!! And of course, write some reviews for it. That would be so wonderful. I hope you like it, you guys!! I am so pumped about this book! 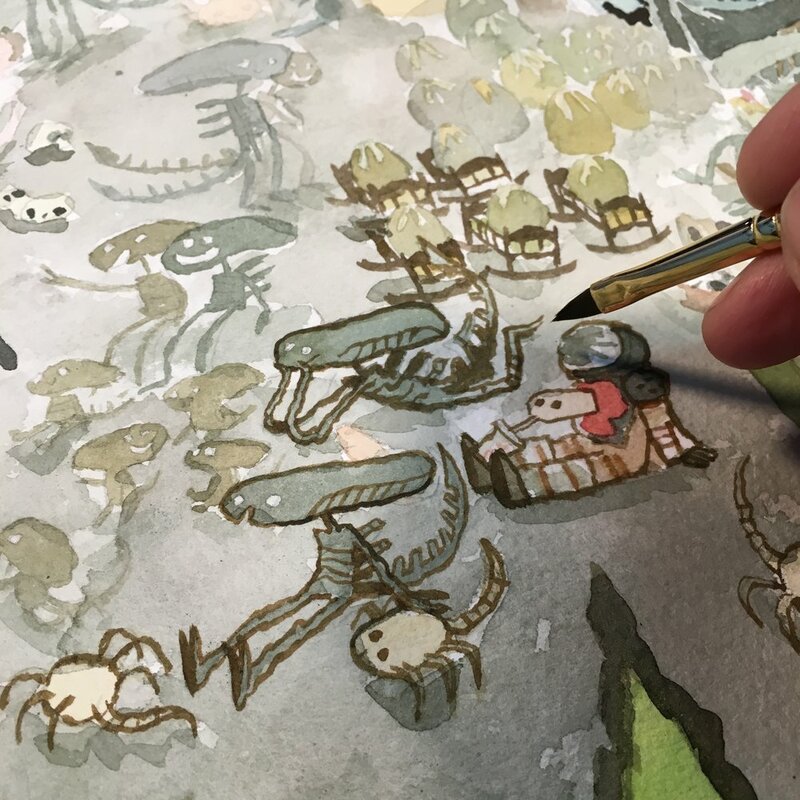 MAKING OF - "Life On Planet Alien"
"Life On Planet Alien" is available as a timed release print for you in TheScottCShop.com. But only until August 14th. So first off, go get that thing right now! Here you can see the various thumbnails for the entire piece. I knew i wanted to have a lot of aliens hanging about together. I toyed with having them all in that big gun room and all over the egg in the movie poster. The egg won the idea battle. Just doodling aliens enjoying their days and nights. I figured the face huggers would probably be hanging about on the faces of people. 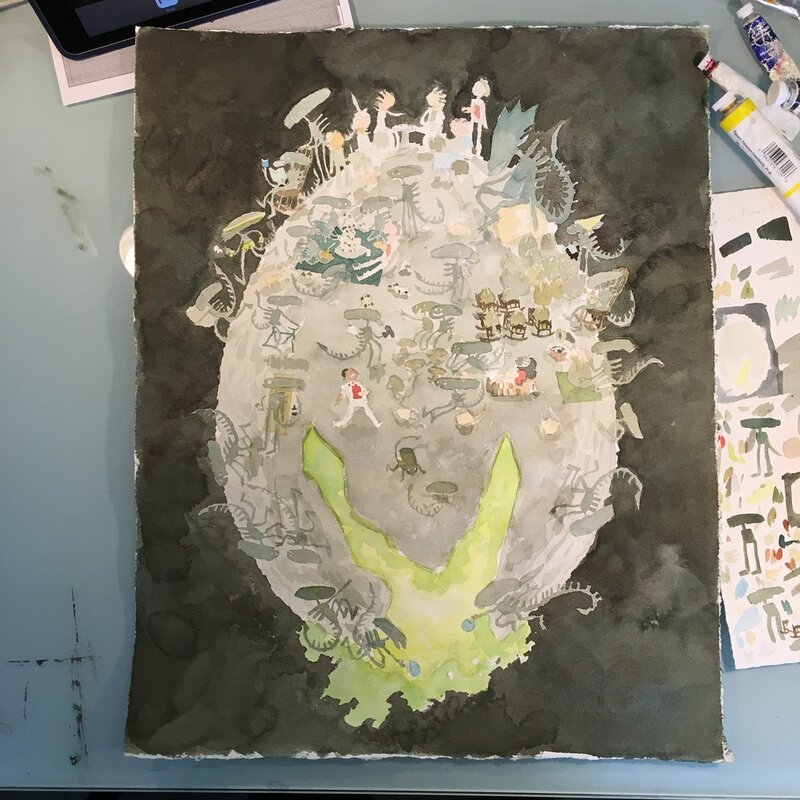 My favorite little moments were cut out and arranged onto the egg in photoshop. Real rough. Printed out the drawing and traced it onto watercolor and started with the skins as usual! My superstitious start to all paintings. All the greys! Make me feel like i am accomplishing a lot. 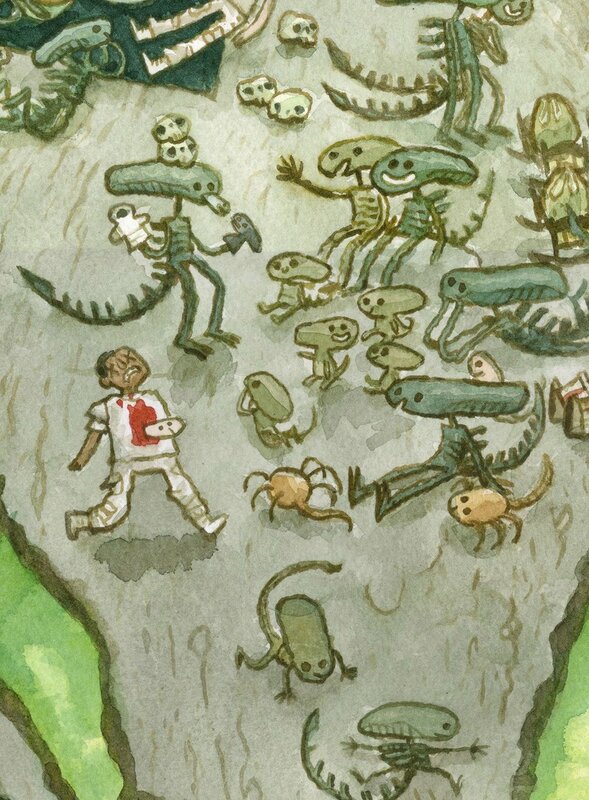 Goin through and painting the aliens. Oh, man. The lines! My favorite part. It's all in there. now to punch up those values there. Sometimes i turn this thing upside down to get to the top bits. AND here is the print version. Thank you, gang. see you! And remember, you only have until AUGUST 14th to order the print! And they won't ship until September once we know the edition size. 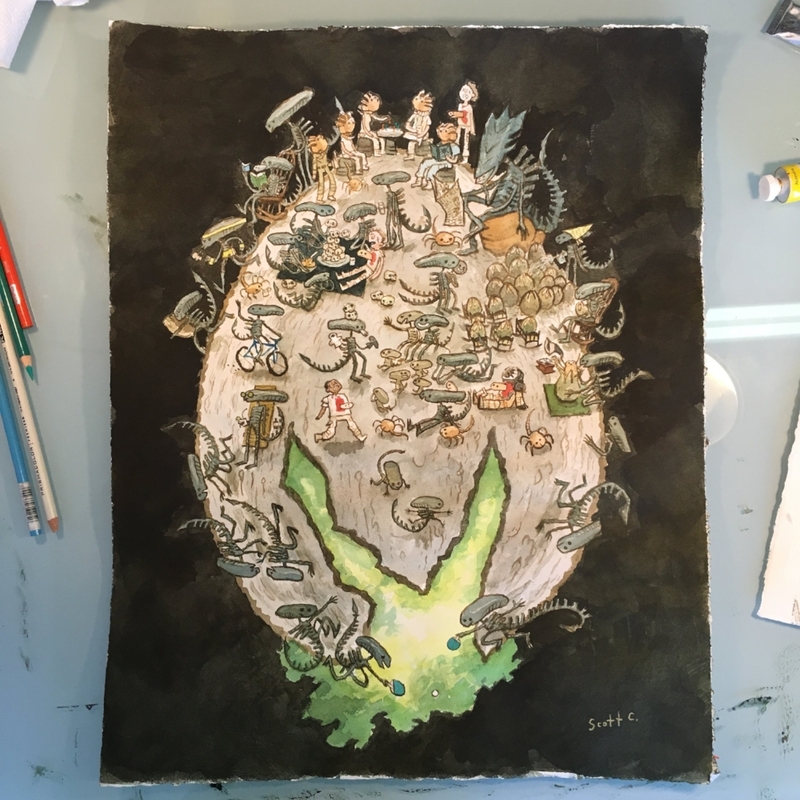 "LIFE ON PLANET ALIEN" Timed Print Release! Now you can have LIFE ON PLANET ALIEN in your own home! Right there on the wall next to your other family portraits. This print will be a timed release, meaning everyone will have 2 full weeks to purchase it, and once that timeframe is over, they will never be sold again. The signed and numbered edition size will be determined by the amount sold during the release. Starting Tuesday July 31 @ 11am EST the print will stay available all the way until Tuesday August 14th @ 11am EST. TWO FULL WEEKS! The print will be 13 x 19 inches at $60 each in TheScottCShop.com. Please note, that this is a pre-sale and the prints will not start shipping until early September. All items in the order will be held until the order is complete. I hope you enjoy LIFE ON PLANET ALIEN! NEW Great Showdowns prints! "Mask and Knives", "The Rose", "Kings", "Princess", and "The Doctor"
NEW Great Showdowns Toy for San Diego Comic Con! It’s the next Great Showdown toy from DKE Toys!! 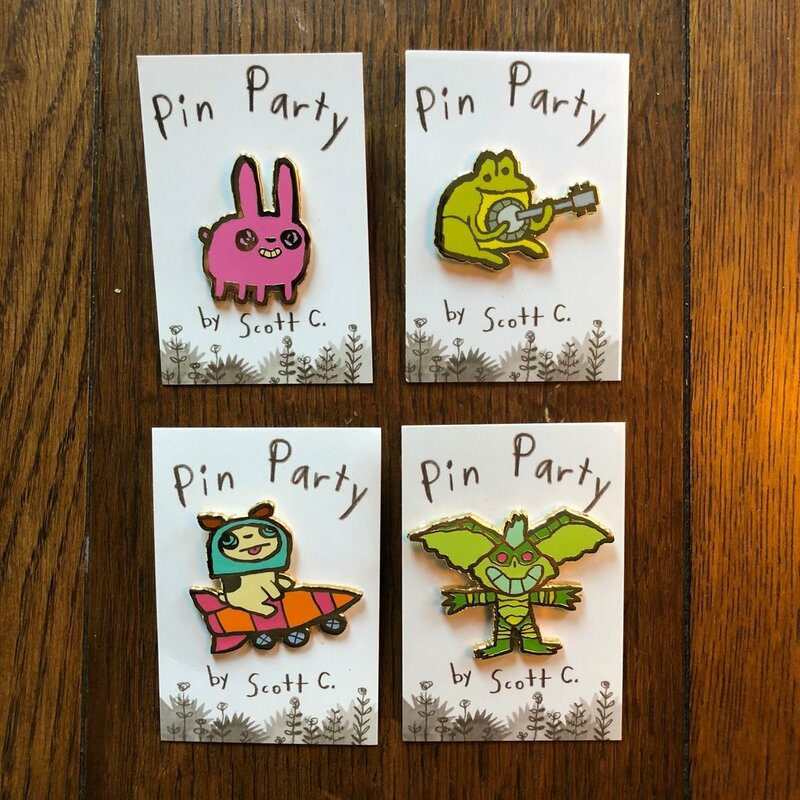 This will become available July 18-22 at the DKE booth #5045 at San Diego Comic Con. Limited signed edition of 50. So mark that on your con schedule! George Gaspar nails it again with that sculpt, right?? he is so good. TOMORROW, June 27th at 2pm EST, we will be releasing two NEW GREAT SHOWDOWNS PRINTS in TheScottCShop! Your collection will look amazing with these two new prints included in it's ranks. All of your questions on this and other limited edition releases are answered in our little FAQ limited edition page! So go there if you have any questions on shipping and releases. Here are the prints that will be released, you guys. Ok! Hope you enjoy these!! See you tomorrow! Hello, everyone! I am a little late in announcing this officially, but the Ghostbusters Great Showdown toy was nominated for a Designer Toy Award! GO check out all the nominees! The winners will be announced at the 8th Annual Designer Toy Award Gala in Brooklyn on Friday June 1st! I wish i could attend, but i just moved to LA. My studio was right next to Brooklyn Bazaar. Oh, the luck. but anyway, i am proud of the gang at DKE Toys for making such a wonderful toy! Thank you! !